The Health Lottery is not a national lottery. It is in fact 51 local society lotteries each one representing one or more local authority areas across Great Britain. Each society lottery is licensed and regulated by the Gambling Commission. As the name suggests, the lottery was funded to raise money for health-related good causes and charity within their respective areas. There is all information about lottery below table of contents. In the first step you will choose 5 numbers from 1 to 50, or ask for Quick Pick to pick the numbers automatically by the generator. If you wish you can similarly buy more than one line, the maximum per ticket is 8. In the next step, you will choose the days on which you want to play and the number of weeks of draw and insert your bonus Promo Code (if you have it). On each draw day, five main numbers plus one bonus number (Bonus ball) are drawn. The Health Lottery draw fall on Wednesday, Thursday, Friday and Saturday. One line for one draw costs £1. Your winnings in the Health Lottery will be determined based on the number of matched numbers. It’s simple. The more numbers you match the more you win. If there is more than one jackpot winner the sum will be equally divided. The lottery offers in total six prize tiers, the jackpot up to £100.000. The value of the jackpot is based on the total ticket sales, of which 10% goes to the main prize. The remaining five prizes are fixed. See the Health Lottery prize breakdown (structure) below. When buying a ticket we all dream of winning the jackpot. So, what are the odds? The odds of matching all 5 numbers to bring home £100.000 are 1 in 2,118,760 and of winning the lowest prize are 1 in 224. Even if you don’t win don’t despair. There is always a good feeling of supporting good causes. Retailers across the UK offer playcards you can easily fill out. You must specify your lucky numbers, bring the ticket to a service person to get in return a confirmation of the game. Those of you who play online can bet on certain days or choose the „Quick Pick“ (randomly generated numbers) or insert a promo code. The place to collect your prize depends on the place where you bought your ticket. If you’ve played online and won up to £2,000 you don’t need to do anything else. Your winnings will be paid directly into your online player account and can be withdrawn at any time; please allow 14 business days for funds to reach your bank account. If you have won more than £2,000 please call the Health Lottery Helpline on 0844 375 55 55, where our team are on hand to tell you how to proceed. If you bought your ticket at a retailer you can claim any prize up to £50 in any one of the retailers. If you’ve won up to £250 you can claim your prize at any Post Office participating in the Health Lottery. If you’ve been lucky enough to win more than £250 you’ll need to call the Health Lotto Helpline on 0844 375 55 55. Online is the easiest option. You set up your account at the Health Lottery website to start playing online. We have prepared for you a brief review with an illustrative guide. Remember to purchase a quick smartphone application for THL. With this application you will never forget to play having a nice companion while travelling by public transport. The Health Lottery application is described in a detailed article with illustrations. Option no.2 is to visit one of the 32,000 retailers across Great Britain. In the link below you can find out your nearest retailer of The Helath Lottery. If you play syndicate your chances to win will increase. Your team may include any number of members. You can play up to £80 worth of tickets in each draw. First of all, form a team. Pick your friends, workmates or family. Appoint your syndicate manager. Set the amount to play and jointly choose your lucky numbers. To avoid any later disputes sign a syndicate agreement. This document will help make sure that in case you win the prizes are distributed evenly. For more information and a detailed guide read our special page dedicated to syndicate betting. For every £1 spent on tickets, the Health Lottery distributes 20p to good causes. The money is evenly distributed across all UK regions. Each week one or more organisations representing England, Wales and Scotland see a share of the pot. 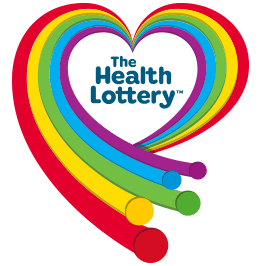 The Health Lottery raises money for a variety of initiatives (not funded by NHS) with the objective of helping people lead healthier and longer lives. 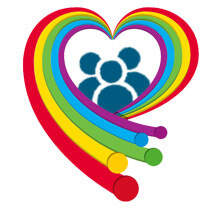 Choosing the causes that benefit from the funds is the responsibility of the local people along with the Health Lottery’s partner charities and the People’s Health Trust. In autumn 2015, the Health Lottery celebrated collecting an incredible sum of £70 million for good causes. 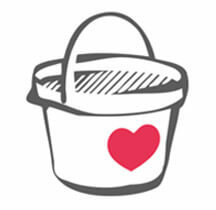 Raised through 1,300 projects, this money had helped more than 123,000 people from all over Great Britain. The Health Lottery is a relatively young lottery. First draw and the only one in the week was held on 8 October 2011. Later on, on 21 July 2012, the prize for three matched numbers was reduced from £50 to £25, for four matched numbers from £500 to £250. This was followed by adding a „Bonus ball“ in September of the same year, and a second Wednesday draw on 17 October 2012. Three years later, on 19 January 2015, a special Quick Pick worth 50p enabling winning a jackpot of £25.000 was launched. In August, a third Thursday draw was added. Due to a lack of popularity, in the same year (on 18 October) the 50p Quick Pick game was discontinued. On the other hand, two traditional weekly draws were added, on Tuesday and Friday, raising the total number of draws per week to five.